Get easy-to-follow instructions for seven, beautifully designed wool eggs in this wool class. Lisa will guide you step by step through your first egg. Basic wool applique and simple embroidery stitching skills helpful. Check out Lisa's eggs on display at the shop! Eggs measure 4.5in. Learn about working with wool in quilting and similar crafts with Lisa. Practice some hand embroidery stitches frequently used when working with wool. Do you love flamingos? 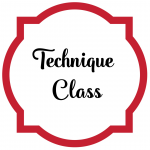 If yes, this class is for you. Join Connie in this all day class to make a flamingo by Elizabeth Hartman. She will share tips on staying organized and the techniques for constructing the flamingo block to make your very own flock. Cutting tips will be discussed so plan on cutting your fabric during class. Flamingo blocks are made using conventional patchwork techniques. No paper piecing! The flamingo's bent leg is made using a cutting guide that is included in the pattern. Are you ready to learn about one of the latest trends in quilting? Looking to make a t-shirt quilt? Join Lisa for a fun intro to making this popular style of quilt. 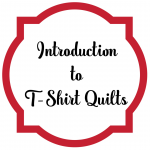 In this 2 hour lecture/demo style class, Lisa will show you how to prepare various types of shirts and how to plan and incorporate them into a quilt. No sewing will happen during class. Love Jen Kingwell's designs but not sure where to start? This quilt is a skill builder for the advanced beginner. Lisa will guide you in making these blocks with gentle curves and incorporating them in an on-point fashion. Finished quilt is designed to measure 71" square. Connie will take the fear out of binding in this 2 hour class. Corners? Joining the ends? No problem! The basics of machine and hand binding will be discussed. Work on the basics of piecing a quilt with Connie! During this 2 hour class you will learn how to find your 1/4" seam, press, nest seams, and more. Accurate piecing is in your future with these tips and tricks! Trouble signing Up for clubs or classes on our Website? This might help! When "Add to Cart" is clicked on our website it appears as though nothing has happened. Don't worry! Something has happened and your item has been placed in your cart. On a computer - Scroll to the top of the page and click the button with a cart on the very top right corner of the page. On a phone - Hold your phone horizontally. After adding your item to your cart, the cart will show up as a banner at the bottom of your screen or a box on the right hand side. Click here & you should see your completed cart and be able to check out as usual. If you have any issues, please don't hesitate to give us a call! We are happy to take registrations and payment over the phone. Add us to your phone book! Subscribe to What's Up Wednesday! Sign up today and watch for a special welcome gift in your inbox.